St. Luke’s University Health Network (SLUHN) is a fully integrated, regional, non-profit network of 14,000 employees providing services at 10 hospitals and more than 300 outpatient sites. St. Luke’s is the preeminent teaching hospital in central-eastern Pennsylvania and the only health care system in central-eastern Pennsylvania to earn Medicare’s five-star rating (the highest) for quality, efficiency and patient satisfaction. 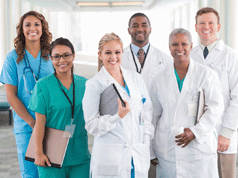 Services: Hospitalists staff the primary admitting service at all campuses for both inpatient and observation care. 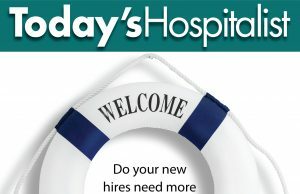 Hospitalists provide consulting services for various specialties. Closed ICU and no procedures at most campuses. Schedule and coverage: Hospitalists work variations of the seven-on/seven-off model. No in-house nights; extensive moonlighting opportunities. Patient encounters average 16-18 per shift. Compensation: Competitive compensation model with base salary and incentives for quality, productivity and citizenship. Location and call stipends are available at some campuses. Starting bonuses, relocation assistance and a generous loan repayment program offered. Local highlights: Set amid gentle hills and charming countryside, the Lehigh Valley is home to Allentown, Bethlehem, and Easton and close to New York City, Philadelphia and Washington, D.C. Outstanding higher education facilities include Lehigh University and Moravian College.